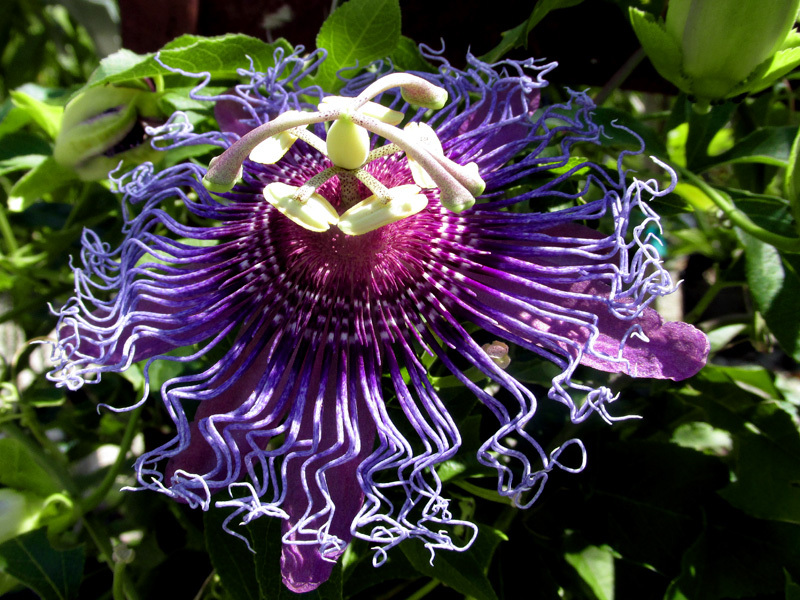 Maypop (Passiflora incarnata) is one of six passionflower vines native to Florida. Passionflower vines are the larval host plant for our Florida state butterfly, the zebra longwing (Heliconius charithonia), the julia (Dryas julia), and the gulf fritillary (Agraulis vanillae). Visit Bob Montanaro’s blog for a fabulous photo of gulf fritillary butterflies checking out maypop and for beautiful photos of Bok Tower Garden. 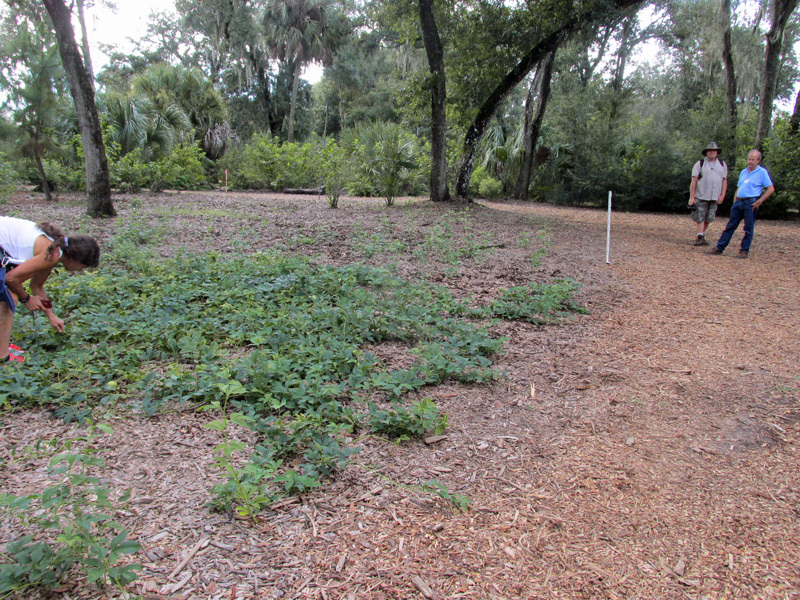 Pictured below are Judy Gersony, Bob Bruce, and Bob Montanaro checking out a maypop patch at Bok Tower. This drought-tolerant vine with divinely beautiful flowers can be aggressive in a home landscape due to its propensity to spread by suckers and climb by tendrils but is well-behaved in the hammock shade at the Oslo Riverfront Conservation Area. 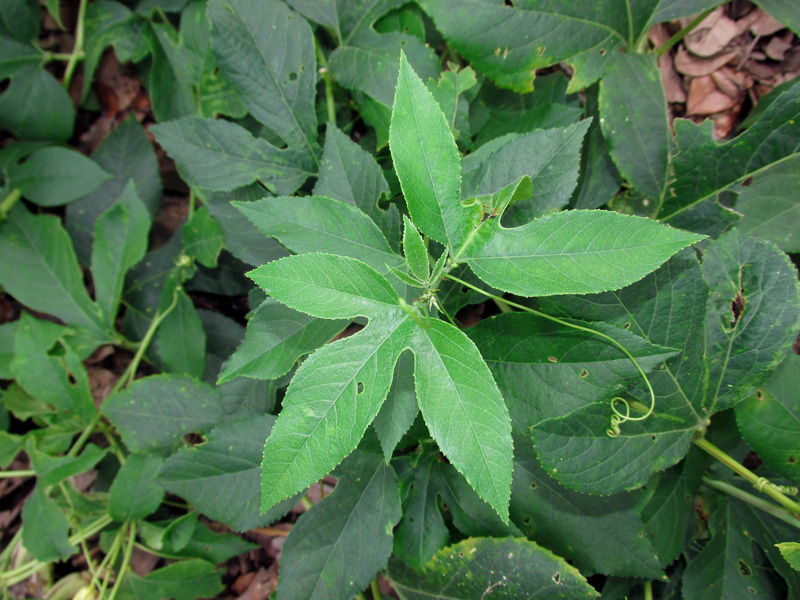 Why would a plant have extrafloral nectaries? Ants attracted to the extrafloral nectaries will eat the butterfly eggs that turn into the caterpillars that graze upon the plant. 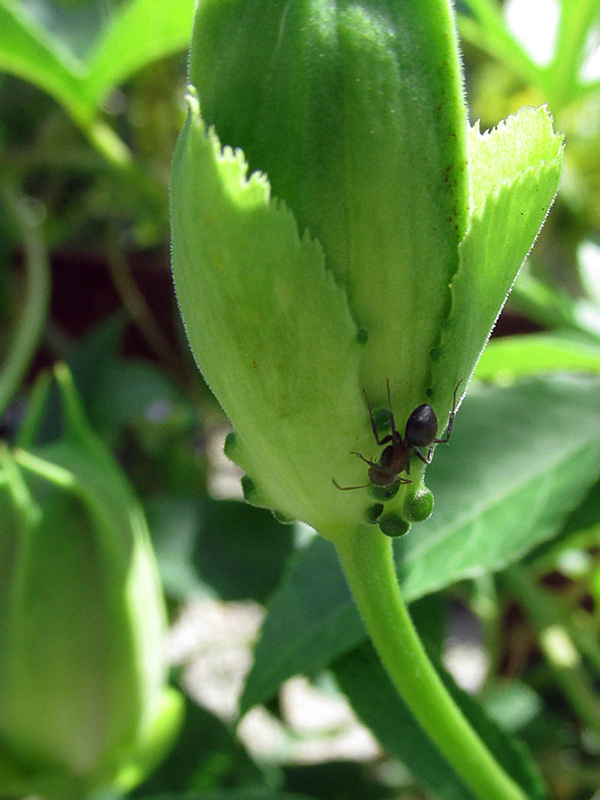 Even when the plant is not flowering, it has a way to attract and reward its ant ‘protectors’. The intimate, complex relationships between native plants, insects, and animals are many. Maypop is pollinated by bumblebees, carpenter bees, and other insects. Wildlife esteem and spread the passionfruits. 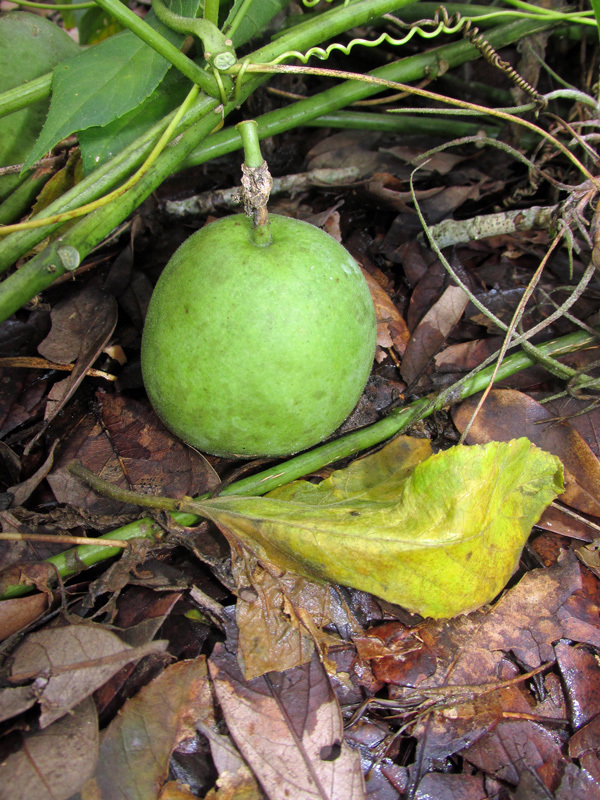 When stepped upon by a human, the delicious egg-sized (or larger) fruits make a popping sound, giving rise to the name maypop.